It's getting into proper welly weather now; the leaves are starting to fall and the rain is making the ground a little mushy which calls for a good old pair of wellington boots. I've never owned a 'nice' pair before, it's really exciting to own such a bright, jaunty pair! You know how I love to find amazing local businesses? 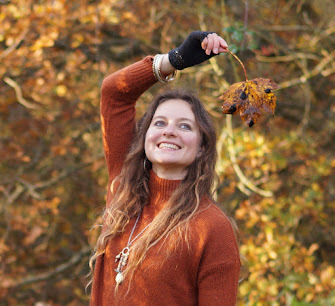 Well Gumleaf Clothing are Norfolk's only brand of countryside clothing and footwear and they make a whole range of practical clothing which is not only chic but entirely suitable for the great outdoors too. I've ogled at the gorgeous jackets on their website and adore the fabulous range of pieces they sell. When I spotted the Norse gumboot in red I knew that they were the pair for me; such an uplifting colour as well as looking strong and heavy duty. Made of natural rubber with a neoprene lining with a stitched in sole they are the real deal, the chunky sole has a good level of tread and the side strap to adjust the fit. They are exactly what I was hoping; supremely comfortable, sturdy and perfect for wearing out and about! It's good to have a proper welly boot that isn't green, the quality is tip-top and I'm sure this pair will be lasting me a good few years. They are exactly what I was hoping; supremely comfortable, sturdy and perfect for wearing out and about! It's good to have a proper welly boot that isn't green, the quality is tip-top and I'm sure this pair will be lasting me a good few years. At £89 they aren't a giveaway but it's a fair price for the high quality boot that you're buying. The range of ladies wellies start at £49 and the range is comprehensive, something for everyone. Have you checked out Gumleaf before? They get my seal of approval for all things country chic! Many thanks to Gumleaf for sending me the wellies to review, all opinions and content my own as always. I'm such a welly-killer. I've found that it doesn't seem to matter if I buy pricey Hunters or cheap New Look ones, I end up ruining them after not very long at all. The last pair got a hole when I stabbed my foot with a fork at the allotment - I was really lucky not to hit my actual foot, I think. They're very nice and look expensive. I have bright pink wellies and red polka dot ankle wellies bit I've always wanted a red pair.